Astronomers all over the world are preparing themselves for observations of a most unique event: during a period of six days in July 1994, at least 21 fragments of comet Shoemaker-Levy 9 will collide with giant planet Jupiter. At the European Southern Observatory, an intensive observational campaign with most of the major telescopes at La Silla is being organized with the participation of a dozen international teams of astronomers. This is the first time ever that it has been possible to predict such a collision. Although it is difficult to make accurate estimates, it is likely that there will be important, observable effects in the Jovian atmosphere. WHAT IS KNOWN ABOUT THE COMET? Comet Shoemaker-Levy 9 is the ninth short-period comet discovered by Gene and Carolyn Shoemaker and David Levy. It was first seen on a photographic plate obtained on 18 March 1993 with the 18-inch Schmidt telescope at the Mount Palomar Observatory, California. It was close in the sky to Jupiter and orbital calculations soon showed that it moves in a very unusual orbit. While other comets revolve around the Sun, this one moves in an elongated orbit around Jupiter. It is obvious that it must have been ``captured" rather recently by the gravitational field of the planet. It was also found that Shoemaker-Levy 9 consists of several individual bodies which move like "pearls on a string" in a majestic procession. It was later determined that this is because the comet suffered a dramatic break-up due to the strong attraction of Jupiter at the time of an earlier close passage to this planet in July 1992. The most recent observations obtained with telescopes at Hawaii in mid-January 1994 have shown changes in the relative brightness of the individual nuclei, and many of them have now developed individual comet "tails". Where and when will the collision take place? On the basis of the recent observations, the impact times can now be predicted to about +-40 minutes. The first, rather small nucleus ("A") will hit the upper layers of Jupiter's atmosphere on July 16, 1994 at about 18:45 Universal Time (UT); the apparently biggest nucleus ("Q") on July 20, also at 18:45 UT, and the last one in the train ("W"), on July 22 at 07:00 UT. WHAT IS LIKELY TO HAPPEN AT JUPITER? The comet nuclei will hit Jupiter at a high velocity, about 60 km/sec. The correspondingly large motion energy (the "kinetic energy") will all be deposited in the Jovian atmosphere. For a 1 km fragment, this is about equal to 10^28 erg, or no less than about 250,000 Megatons. to a complete stop and disintegrates in a giant explosion. very high temperatures; this will result in a flash of light that lasts a few seconds. Within the next minutes, a plume of hot gas will begin to rise over the impact site. It may reach an altitude of several hundred kilometres above the cloud layers and will quickly spread out in all horizontal directions. Another part of the energy will be transformed into shock waves that will propagate into the interior of Jupiter, much as seismic waves from an earthquake do inside the Earth. When these waves again reach the upper layers of the atmosphere, they may be seen as slight increases in the local temperature along expanding circles with the impact sites at their centres (like waves on a water surface). The shock waves may also start oscillations of the entire planet, like those of a ringing bell. During the past months, atmospheric scientists have attempted to calculate the details of these impacts, but the uncertainties are still rather large. Moreover, the magnitudes of the overall effects are entirely dependent on the energies involved, i.e., on the still not well determined sizes (masses) of the cometary nuclei. orbit of the volcanic moon Io, and some cometary dust particles may collect in Jupiter's faint ring. All in all, this spectacular event offers a unique opportunity to study Jupiter and its atmosphere. It may also provide a first "look" into its hitherto unobservable inner regions. Nobody knows for sure, how dramatic the effects of the impacts will actually be, but unless we are prepared to observe them, we may lose a great chance that is unlikely to come back in many years, if ever. WHICH PREPARATIONS HAVE BEEN MADE AT ESO? restricted. Moreover, many different observing techniques are available at La Silla; this provides optimal conditions for effective coordination of the various programmes, in particular what concerns imaging and spectral observations in the infrared and submillimetre wavebands. 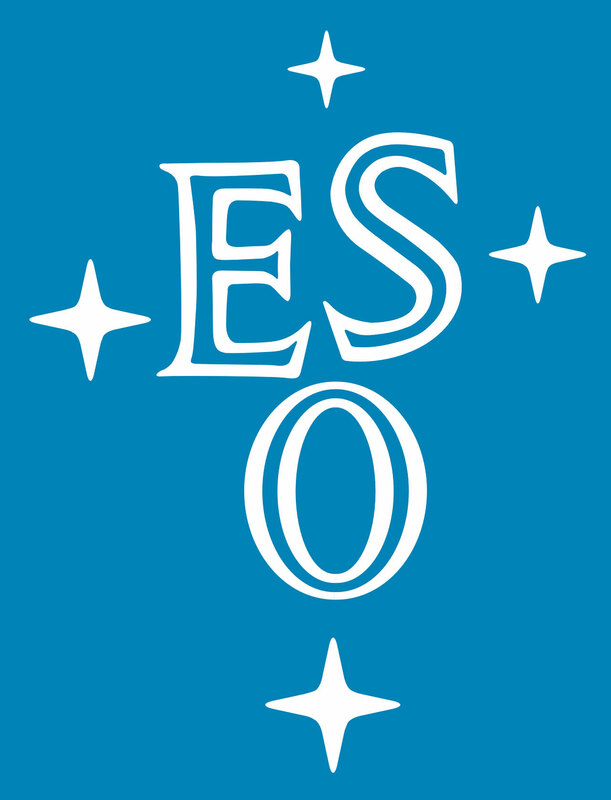 A joint request for a coordinated observing programme was submitted by the group to the ESO Observing Programmes Committee. During its meeting at the end of November 1993, this committee reacted very positively and a substantial number of observing nights at the major telescopes at La Silla was granted at the time of the impacts in July 1994. The total amount of observing time to this programme is just over 40 full nights, a quantity never allocated for any single astronomical event at ESO. This clearly illustrates the importance attached to this very special programme. At this moment, the more than 30 astronomers involved are in the middle of the complex and detailed preparations for this unique event, less than six months from now. Together with observational programmes at other observatories, they will provide efficient coverage of the collisions and the associated effects. 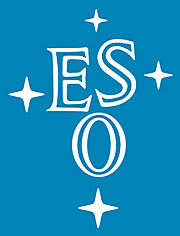 WHICH OBSERVATIONS WILL BE CARRIED OUT AT ESO? Some of the earliest observations at ESO will be carried out with the Danish 1.54 m telescope by a small team of ESO astronomers led by Olivier Hainaut. Beginning in late April 1994, images will be obtained of comet Shoemaker-Levy 9 which will allow to further improve the accuracy of the orbit and thereby to increase the precision with which the times of the individual impacts can be predicted. It is expected that such observations, when made carefully up to the last days before the first impacts, will result in a final timing accuracy of a few minutes; this will of course be of importance for all other observations, both from the ground, and especially for those being carried out from the spacecraft. A team from the Munich Observatory (Germany) under the leadership of Heinz Barwig will perform rapid brightness mesurements of Jupiter's moons at the predicted times of the impacts with their special high-speed photometer attached to the ESO 1 metre telescope. The flashes from the impacts will be reflected from the surfaces of those Jupiter moons which are in view of the impact sites. If this happens when a moon is in full sunlight, the relative increase of intensity will probably only be of the order of 1. However, if one of the moons is located in the shadow of Jupiter and is at the same time visible from the Earth, then the relative brightening may be very conspicuous. Whether this will be the case will of course depend on the exact moments of the impacts. Also at the time of the impacts, a group of French astronomers, headed by Bruno Sicardy of the Observatoire de Paris, will mount a special CCD camera at the Danish telescope, which will be used for different types of observations. They also hope to be able to detect some of the expected light flashes from the Jupiter moons. In addition, this programme will monitor changes in the cloud structure around the impact sites. It may also be possible to obtain low-resolution spectra which will show the temperature of the flashes, but in view of their very short duration, a few seconds at most, this will not be easy. The same instrument will also be used by Nick Thomas of the Max-Planck-Institut fur Aeronomie (Lindau, Germany) to image the Jupiter plasma torus in order to detect possible changes after the impacts. Spectral observations of the comet will be made with the ESO 1.5 m telescope in April by Heike Rauer, also from the Max-Planck-Institut fur Aeronomie. They are expected to lead to a better knowledge about the physical and chemical state of the impacting bodies. For instance, are they really so "dusty", as present observations seem to indicate, or do they contain large amounts of gas ? If so, what kind of molecules are present? This will help to refine the predictions of the impact effects. Imaging and spectral observations of the comet for the same general purposes will also be obtained in early July with the EMMI instrument at the 3.5 m New Technology Telescope by an international team headed by Rita Schulz, formerly at the University of Maryland and now at the Max-Planck-Institut fur Aeronomie. No less than 46 observing hours have been allocated at the Swedish-ESO Submillimetre Telescope (SEST) to an international group headed by Daniel Gautier, Observatoire de Paris-Meudon. During the impacts, the cometary molecules will be mixed with those in the Jovian atmosphere, some of which may come from very deep layers. Together they will be carried upwards in the plume, described above. This may provide a rare opportunity, not only to register the submillimetre emissions from those molecules which are already known to be present in the comet and on Jupiter, but also to detect new and unknown molecules otherwise not accessible for direct observations, either from the interior of the cometary nuclei or from deep down in Jupiter's enormous atmosphere. limb. Two teams will be active here; one is led by Timothy A. Livengood from NASA Goddard Space Flight Center (U.S.A.) and includes several ESO staff astronomers. Thanks to the excellent imaging capabilities of TIMMI in the far-infrared spectral region, this group will be able to look far down into the atmosphere and to measure minute temperature variations. This should make it possible to register the effects of the shockwaves that arise when the cometary energy is deposited in the atmosphere. The second group at the 3.6 m telescope, led by Benoit Mosser from Institut d'Astrophysique, Paris, will be looking for short- and long-term oscillations of the entire planet during the days and nights following the impacts. It is agreed that such observations will not be easy, but they offer the best hope we presently have of learning about the internal structure of Jupiter. It may be deduced from the observed frequencies and modes of oscillation. A particularly interesting problem is whether Jupiter really possesses a core of metallic hydrogen, as postulated by some scientists. Infrared images will also be made by Klaus Jockers from the Max-Planck-Institut fur Aeronomie with the ESO infrared IRAC camera at the MPI/ESO 2.2 m telescope. Since they will be obtained at shorter wavelengths than those at TIMMI, they will show higher layers of the atmosphere and the possible changes (streaming motions, new whirls and eddies ?) which may result from the impacts. These programmes will therefore complement eachother. present in the deeper layers of the Jovian atmosphere, e.g., water, ammonium and phosphine (PH3). HOW WILL THE MEDIA LEARN ABOUT THE RESULTS FROM ESO? astronomical event. Although it is difficult to predict at this moment whether all of the above mentioned phenomena will actually be observed, there is an obvious and great interest in these programmes from all sides. To support the public information about the outcome, it is the intention of the ESO Information Service to provide the media with regular and rapid updates about the observational progress at the La Silla telescopes. For this, a special ESO news service will be activated some days before the series of impacts begin - it will be accessible for all interested parties during the critical period. More details about this service will be announced in a later Press Release.